* Portable, convenient to take along and use with your phone. 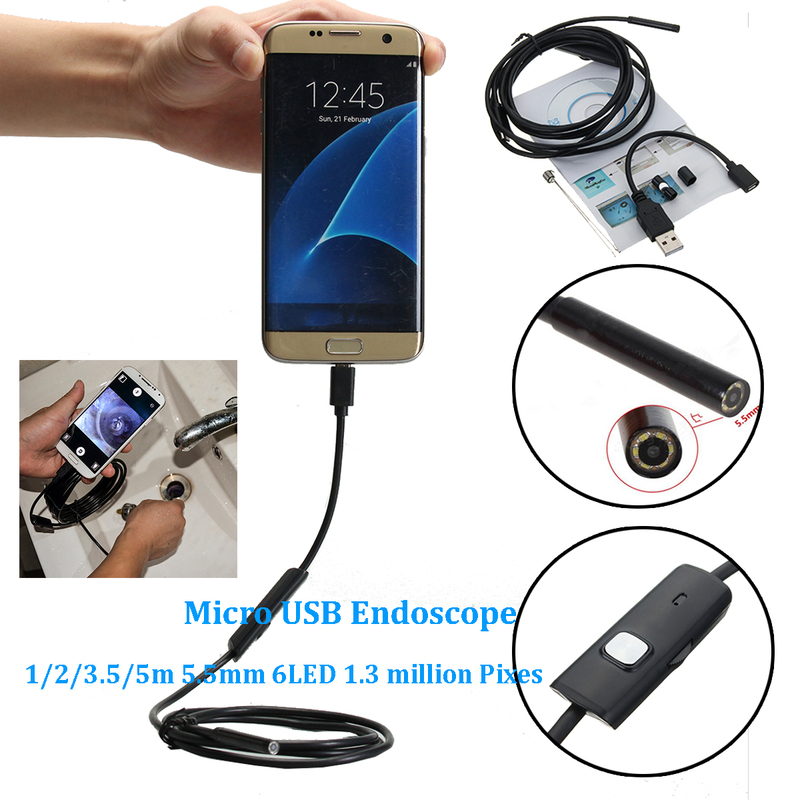 * Can also connect the endoscope to your laptop for inspecting . * Great item for intraoral camera system, underwater camera, waterproof Micro-cameras, motor vehicle detector, sewer pipeline detector, search and rescue, criminal and custom detector, archaeological detect, the PCB detection, home care, aviation and space industries, care and tractors industries, petroleum drilling industries, constructions and so on. * Your Android phone must support OTG function. * Your phone camera must be compatible with UVC web camera. * If the app gives error "Missing internet permission in android manifest.xml " and closes after 3 minutes, please download the 'CameraFi' app from play store.